Those born between November 22nd and December 21st are members of the Sagittarius zodiac sign. Sagittarius signs have fire as their element, making them incredibly passionate individuals. They are ruled by Jupiter, the largest planet of the zodiac. A Sagittarius is often admired for their independence and free spirit. They tend to be optimistic, honest, kind and adventurous. Anything is possible for Sagittarians. However, this optimism and passion can sometimes lead to over-promising and under-delivering. Many Sagittarians also struggle with impatience. 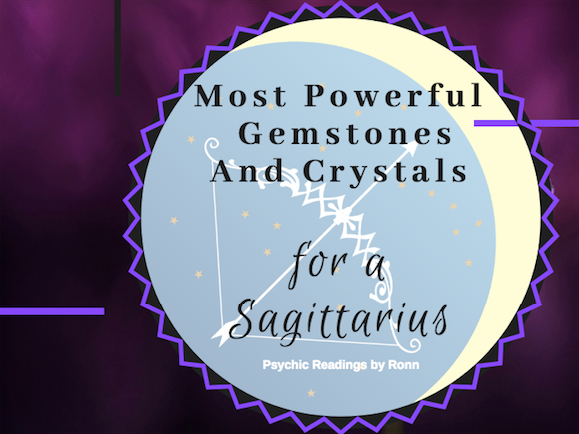 Through the use of certain crystals and gemstones, a Sagittarius can enhance their best qualities and harness their full power. The free spirit of a Sagittarius is a beautiful thing, but there are times when they will need to be grounded. Bronzite stone can encourage a Sagittarian to think through their actions and plan the path ahead while filling a person with a sense of harmony. Similarly, Black onyx can provide structure, as well as support during the most difficult times. Sometimes, a Sagittarian can find that they are in their own head instead of being present in their own life. Snowflake Obsidian can help to bring that focus back down to the present while simultaneously relieving stress. The independence of a Sagittarius can often lead to a disconnect from true emotion. Blue lace agate can reconnect Sagittarians with emotions so they can embrace their innermost feelings. Lapis Lazuli will help with the Sagittarian’s deep desire to understand the world around them, as it helps the connection with the spiritual realm. A Sagittarius’s passion and honesty can sometimes be perceived as harsh, hindering effective communication. Blue Topaz can be used for facilitating gentler communication, calming bold energy. The spiritually powerful Lapis Lazuli also encourages gentle and clear communication for Sagittarians. Turquoise is an excellent stone for complementing a Sagittarian style of honest communication, helping to bolster intuition and confidence. Sagittarians are naturally driven and enthusiastic, but some stones can help them further harness this power. Tiger’s eye is ideal for strengthening willpower and bringing new opportunities to light. A Sagittarius may have trouble committing their energy to one specific goal. Sodalite can help productivity by strengthening intuition and helping to focus on a single direction. The best stones for each purpose may vary by individual, but healing crystals are a great tool for projecting desired energy and fully embracing the world around us.